About ten years ago, my teaching partner and I were forced to look back at a big joint project. (Our grant required a lot of summary writing, to be posted on the organization’s website.) Six months after our giant thematic exploration ended, we went back to reconsider students’ writing and models and illustrations, and our own plans. We did, of course, think as we went along. If we hadn’t engaged in ongoing reflection—grabbed chances for that out of the hurly-burly of teacher life—our teaching would have withered, our students suffered. When we no longer needed to evaluate each child individually, we got a really clear picture of their work together, as collaborators—especially the ways they had taught each other. And us—the ways they had taught us. We got a clearer picture of some ways our students had struggled with the theme. Parts of our thematic study of transportation had asked students to consider their own transportation choices, and the impact of different choices on the environment and on other people. One student said, ‟I’m never getting into a car again,” as we walked down a Boston street after hearing a presentation by Stephanie Pollack, from the Conservation Law Foundation. At the time, we weren’t sure whether to laugh or cry. Later, looking back, we remembered a follow-up discussion about all the reasons why a person might not be able to make the ideal environmental choice, and valued, even more than at the time, what kids said to each other in that conversation. We were critical; but we were also proud. We looked at the study whole, and saw that it was good. I’ve left my full time teaching gig. I’ve walked away with binders full of lesson plans and observation notes, boxes full of copies of kids’ work, folders full of communication to kids and parents, and from them. I’ve brought it all to a barn in Maine, a place where I can open the back doors and look out at a wide meadow and a long pond. It’s a barn very full, already, with family treasures, so I have to compress this new pile radically. 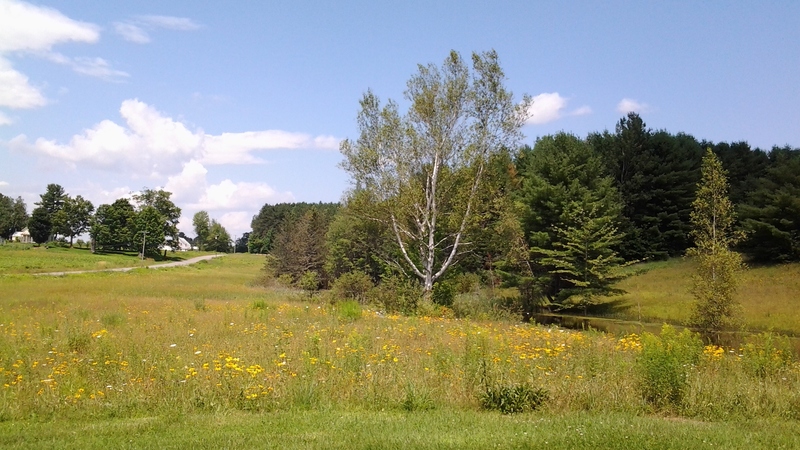 As I stare at the meadow, listen to the crows, and sort (radically), I’ll see what there is to think about. Already, for the posts I have in process, I’ve called people, written emails, asked questions. Others’ responses have reminded me of additional topics I want to explore and reconsider–and of everything I’ve loved about teaching! What will find its way into actual posts? Time will tell. Somehow, though, I am sure that looking back–carefully, thoughtfully, mercifully– will be a good way to start looking forward. I’m so curious to know, if you’ve gotten this far, read this much: how do you reflect on your own learning and practice and profession, whatever they may be? What does it give you to do so? This entry was posted in Teaching life and tagged Kate Keller, looking back, reflection, teaching, transportation by pollybrown2013. Bookmark the permalink. You and Kate sounded like explorers back from your discoveries, planning the next expedition! Listening to you, learning and teaching was an exciting adventure — one I wanted to join. Teaching can itself be a reflection on the world. The example of teaching about transportation is apt in that it’s something adults engage with all the time, in a sub-conscious, routine kind of way as economic beings (or for some of us, on a professional level as planners or engineers) and it’s easy to let our decisions and practices become habits and routines. Facing the questions posed by a learner looking at this from a different persepctive can be a way of facilitating mindfulness on several levels, one of which can be noticing the understandable temptation to tell a story about the theme driven by a simple, polar morality, and instead recognizing the existence of complexity in the world, which suggests the value of more compassionate approaches towards solving real-world problems. Yes, absolutely. Responding to learners, working with learners who feel okay to voice their reactions, can be an amazing “reflection on the world,” a way for the teacher to enter the topic so much more deeply. I love the way you put that.